Many homeowners in the Miami area and South Florida live in dread of foreclosure — a nightmare that in today’s economic environment is a real possibility. But you can avoid foreclosure and get debt relief through a Chapter 13 or Chapter 7 bankruptcy filing. If you are having trouble making your mortgage payment, you need to take action now to protect your home. The Bankruptcy Law Offices of James Schwitalla, P.A. is a firm dedicated to helping people eliminate debt and get a new financial start. 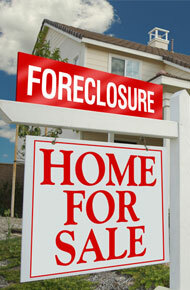 We can take steps to stop a foreclosure before it starts. If a foreclosure is in process, the process can be slowed or stopped completely, avoiding the forced sale of your home. For a free consultation and information about debt relief, call (305) 278-0811. Contact us today — the sooner you call, the sooner we can help you. Attorney James Schwitalla can review your situation and discuss your options in a free consultation. These include a Chapter 13 bankruptcy which can enable you to keep your home and get relief from your unsecured debts. By eliminating debts such as credit card debt and medical bills, you can obtain additional cash flow that may enable you to cover your mortgage payment and other debts. In many cases, we can even eliminate second and third mortgages entirely. You may still be able to keep your home with a Chapter 7 bankruptcy, or use it to gain time in anticipation of a home short sale. James Schwitalla can recommend the best solution for you. Bankruptcy does not have to be a frightening ordeal. The bankruptcy laws were enacted to help people like you — good, hard-working people who have gotten into financial difficulty. As a debtor, you have rights that Mr. Schwitalla is committed to protecting! The Bankruptcy Law Offices of James Schwitalla, P.A. will help you assert those rights and take steps to get the debt relief you need to make a new financial start.